Die cutting tips will give you some ideas to save your sanity with dies that won't cut properly on the first pass. And so the frustration levels go up when we cannot get that perfect cut every single time. It doesn't mean that the die you have bought is faulty. It can be a number of reasons that cause the fault. Die cutting machines pass flat plates through a roller system to compress the card and die together to give you that cut. Maybe your die cutting machine is an old one and the pressure on the rollers within the machine is not as strong as it was. Another reason could be the thickness of the card that you are using ... it could be too thick. If you look at your die templates then you will see a thin raised ridge around the edge. It is this ridge that compresses the card and makes the "Cut" It is not a blade and will not cut your fingers but it will cut the card ... as long as the card is no thicker than the ridge around the die. There are just as many ways to help solve the problem too. Don't just toss the die to one side and say it's rubbish. Try and work out what is wrong ... very rarely is it the die. Look at your card, most die cutting machine will cut comfortably card that is 260 gsm. 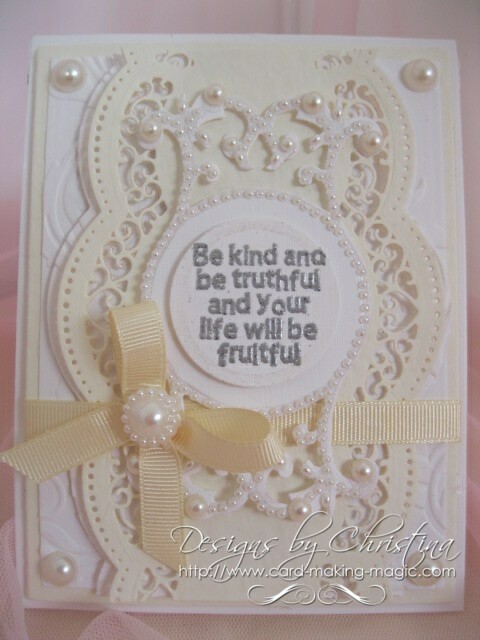 This is a good weight card that will be a sturdy base for any of your designs. 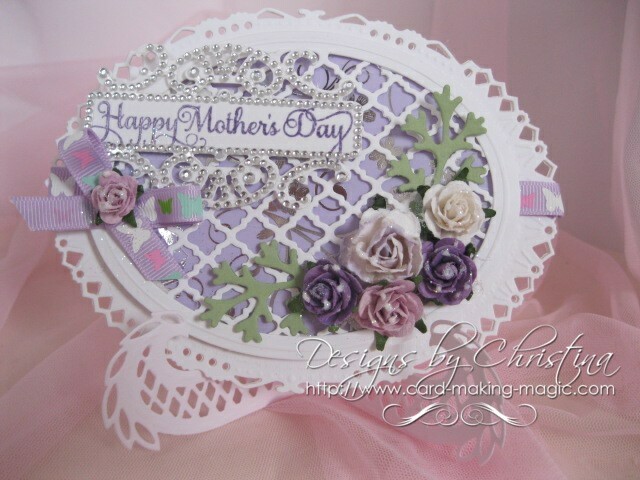 In Die Cutting Tips you will see several other ideas and all will be useful whichever brand of dies or machine you are using.